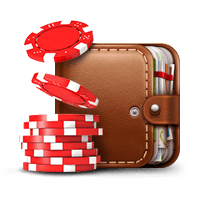 Know how huge winnings are made possible? A progressive jackpot is an accumulation of losing bets made at a slot machine or video poker machine that is part of a designated group. Once a player gets lucky and wins the jackpot, the jackpot gets reset to its original amount. The more losing spins a slot machine doles out or the more hands are lost at a video poker machine, the bigger its progressive jackpot gets. Some believe that the bigger the progressive jackpot, the closer you are to winning it. Just like the ocean is made up of many drops, a progressive jackpot consists of portions of bets made by any player who loses a spin or a hand. Usually, a progressive jackpot is pooled between multiple slot machines or video poker machines and anyone playing one of those machines has a shot at winning the entire thing. Once someone gets lucky and wins the jackpot, the collection pool is reset to zero. Progressives are jackpots generated across a network of thousands of online slots. 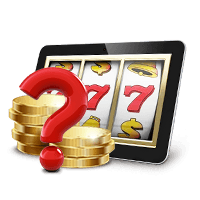 Each time a player plays a machine on the network a portion of their bet is reserved for the progressive jackpot. This means prizes can climb into the millions before they are hit by a player on the network. The variety between games is enormous, as online casinos are not limited by floor space. Progressives often require you to bet max in order to hit the big one. Keep an eye on the progressives at a number of different casinos, and play them only when they get high. Playing the maximum number of lines is in your best interest because it increases your chances of winning the progressive jackpot. Large bets mean large prizes! There are no direct or extra costs you should worry about. It may seem like an unlikely possibility, but you can definitely hit a progressive jackpot if it’s your lucky day. Until progressive jackpots came into being, the only gamblers that were winning millions of dollars in Canada were lottery players. Today, though, slots players have unlimited access to these jackpots that are worth hundreds of thousands, if not millions, of dollars. Read on and find out exactly how they work and what it takes to become the next big winner. When we look at progressive jackpots specifically, you want to keep an eye out for the biggest jackpots possible (it's a long shot - you'd better get paid for it!) and consider progressive jackpots that have multiple tiers.The more tiers a progressive jackpot has, the higher your chances are of bringing home a lot of money. Basically, the best machines for progressive jackpots have the biggest jackpots and multiple tiers. Microgaming's record-breaking slot has crowned many a millionaire over the years. Let's take a look at some of the biggest jackpot champs in the game's history. Unlike normal jackpots which are static, progressive jackpots are fluid. They grow over the course of days weeks, or even months. Thousands of machines (virtual in this case) can be hooked up to the same jackpot at any given moment and, every time someone fails to win, a small portion of their bet is contributed to the progressive jackpot. This process continues as players lose until a lucky player eventually takes down the whole pot. The jackpot returns to its starting value - only to immediately start growing again. Winning progressive jackpots might be unlikely, but it's not technically difficult for you or any other Canadian online slot player. Go ahead and play the same way you would normally play. Just keep looking to win normal payouts while chasing the elusive top prize. Always remember the importance of playing the maximum number of lines. Also, while you can get away with smaller coin sizes, one rule always holds true: the bigger the bet, the bigger the prize! Note that, in some progressive jackpot slot games, you'll be taken to a hidden mini-game where you can finalize the size of your progressive jackpot. In fact, this is already fairly common. Some of the biggest progressive jackpots on the net make use of a Wheel of Fortune styled game to determine exactly how big your payout will be. Do Progressive Jackpots Cost Extra? No, or at least not directly. Just remember that you're probably going have to play max-lines, which could make these games more expensive than what you're used to. To deal with this, as always, you should feel free to reduce your coin size if necessary. Being eligible for the top prize is the key to having the best house edge possible, so never bet less than what's required. - Wait until the jackpot has grown. The odds of winning each bet are the same, but with a bigger prize to win, the house edge will be reduced. - Play small enough to make lots of bets. If you blow your bankroll in one hour, you'll have to rely on luck more than usual to win. Slow and steady always wins in the long run. 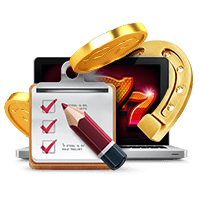 - When it comes to online casinos, often times you'll be able to access the same progressive jackpots via different casinos on the same network. 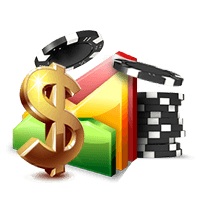 If you are gambling online, feel free to shop around and find the best online casinos that meet your needs.